The long-awaited meeting in Washington between President Barack Obama and Israeli Prime Minister Benjamin Netanyahu touched on a variety of sensitive issues between the two countries - including Iran, Israeli settlements on the West Bank, talks with Syria, a two-state solution to the Palestinian issue, and Hamas. I doubt anyone can claim that substantial progress has been made, nor that any is likely to be made in the near future. The talks are not without some movement, however. Just prior to the meeting, President Obama stated that he now understands why Israel considers Iran's nuclear weapons program to be an existential threat. That said, I am not sure which American intelligence officers or Israeli officials the President has been talking to, but this has been the primary Israeli mantra since at least 2006 - it has been inescapable. I was in Israel in 2006 after the conflict with Hizballah, and again this year during and after the conflict in Gaza - if you have had any contact at all with any Israeli official, you cannot escape the conclusion that Israel regards Iran as its primary threat, probably the most serious threat since the nation was created in 1948. Obama's epiphany sounds like a "this just came to my attention, and I have my best people working on it" ploy - a tactic to restart the clock on addressing Israeli concerns. In that same vein, Obama advised Netanyahu that an Israeli military strike on Iranian nuclear facilities would be a mistake. Of course, the White House is not (yet) in range of Iranian ballistic missiles, missiles that within a year or so may be equipped with nuclear warheads. That's not my opinion - that is the assessment of the Israeli intelligence services (Aman and Mossad), first told to me in 2006 by Aman (military intelligence) and reiterated in 2009 by Mossad. It is also the assessment of most rational thinkers in the U.S intelligence community, the last National Intelligence Estimate notwithstanding. 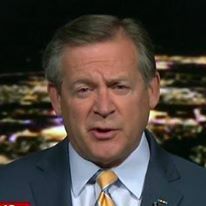 Candidates John McCan and Barack Obama both repudiated that ridiculous non-assessment by declaring their belief that Iran's nuclear program was aimed at developing weapons, not electrical power plants. Now that the President understands that Israel regards Iran as an existential threat, he probably also understands that his earlier overtures to Iran are not well-received in Israel. 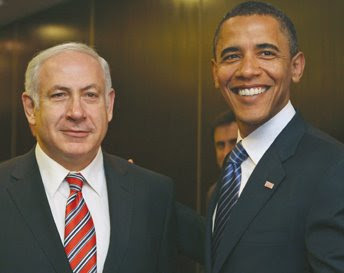 A poll taken in just a few days prior to the Obama-Netanyahu meeting revealed that two thirds of Israelis believe that the President is not pro-Israel. Most believe that his foreign policy is focused on improved relations with Iran - at their expense. While the two leaders met in Washington, Hamas chief Khalid Mish'al weighed in from the Syrian capital of Damascus, obviously hoping to influence Obama that his organization has a positive role to play in resolving some of these issues. 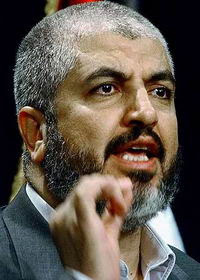 Mish'al's effort follows the British government's decision to talk to Hamas's political wing. There are some advisors in the United States who have used the British government's willingness to talk to Hamas as a justification for the Obama administration to engage Hamas as well. This mindset is fraught with danger - remember that President Obama was rebuffed by the Taliban when he wanted to reach out to that group's "moderate elements." Both the Taliban and I reminded him that there are no moderate elements of the Taliban - they are all committed to the cause, that's why they are the Taliban. Likewise, there are no moderate elements in Hamas. Little will come of the Obama-Netanyahu meeting. There will be a warm photo-op and reports of "frank and fruitful discussions," but in the end, there will be no resolution of the differences between the two new administrations. Israelis will worry about the new American president's commitment to their security, and Israel's new prime minister will continue to worry about Iranian weapons. By the end of this year, the special relationship between the United States and Israel will have its biggest test since 1967. That test will be about Iran.